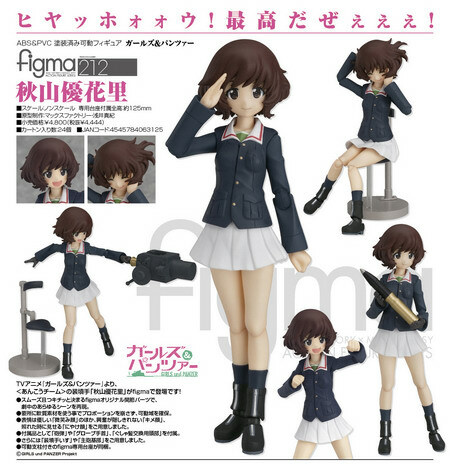 December 12th, 2013 By: GGT Category: 2014/05 release, Figure News. 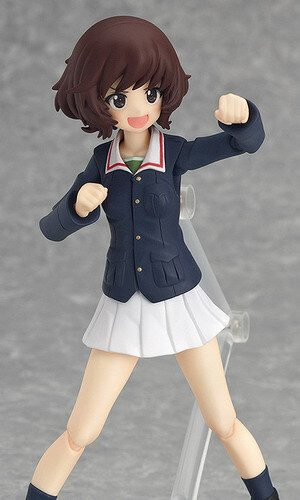 Max Factory is going to release the figma 212 Akiyama Yukari ( 秋山 優花里 ) action from the anime “Girls und Panzer” ( ガールズ&パンツァー ). Will be released in May 2014. 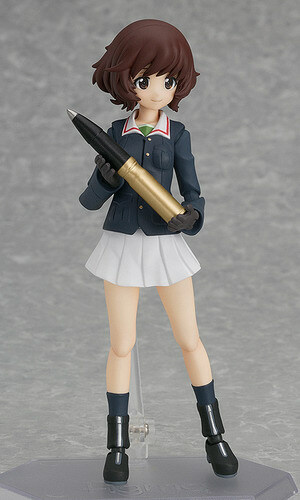 Around 125mm tall, 4,444 yen. 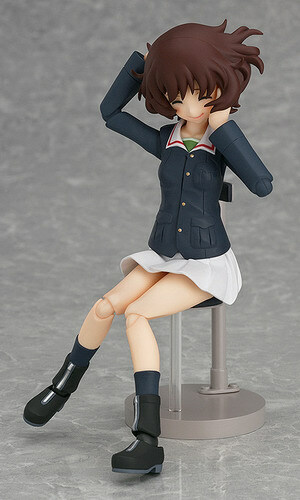 From the anime series ‘Girls und Panzer’ comes a figma of Yukari Akiyama from the Ankou Team! 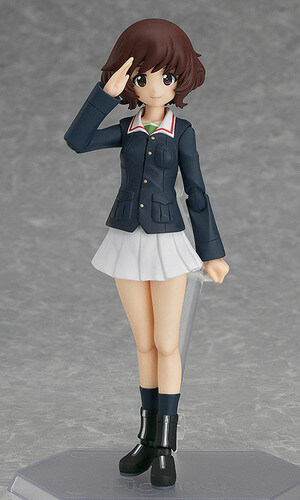 She comes with a gentle smiling expression, an exited expression and a embarrassed expression. Optional parts include a tank shell, gloves, and alternate messed up hair parts. A loader’s seat and tank battery are also included. 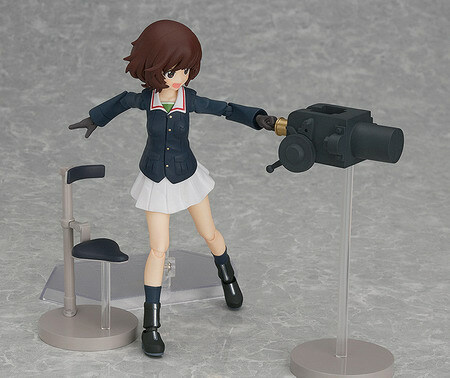 An articulated figma stand is included.